Period rooms were popular as museum presentations in the late 19th century. Furniture, wall coverings and works of art were intended to offer a ‘stylistically pure’ picture of the prevailing taste. The period rooms that go on show at Het Nieuwe Instituut originally come from the Stedelijk Museum in Amsterdam, where they had to make way for the rapidly expanding collection of modern art in the 1970s. 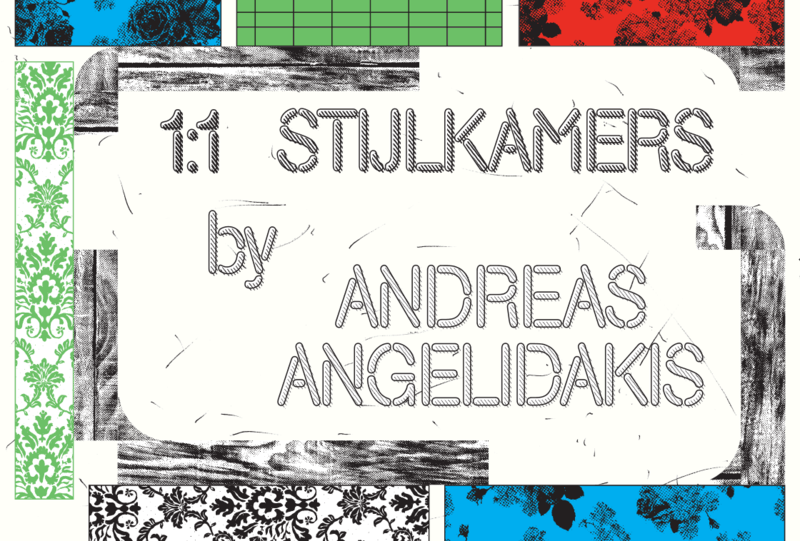 Angelidakis sometimes highlights only a fragment or uses just the structure of the period rooms that will come to Rotterdam. He isolates and combines in an exploratory and associative manner as he tells a story about the changing meaning of space in the history of exhibiting. The installation consists of five spaces, each one a passage in an invisible discussion between the period room and other exhibition typologies. The crowning work of 1:1 Period Rooms is the Empire Room from the collection of the Amsterdam Museum. This 19th-century period room will be reconstructed for the exhibition in collaboration with the University of Amsterdam and Amsterdam Museum. On Wednesday and Sunday afternoons the public can watch the restoration experts at work. 1:1 Period Rooms is one instalment in a triptych devoted to interiors. Het Nieuwe Instituut previously presented the exhibition 1:1 Sets for Erwin Olaf & Bekleidung. These will be followed in 2016 by an exhibition devoted to the showroom. Each instalment of the triptych is based on 1:1 models (i.e. at full size) and explores the meaning of representation and authenticity. The triptych forms part of the programme track Landscape and Interior.